Six West Midland universities and a college will share £23 million for science and technology education. Universities and a college in the West Midlands have scooped nearly £23 million in funding in a bid to develop a new generation of engineers and scientists to plug a national shortfall. Six universities and one college will share between them more than ten per cent of a major £200 million nationwide investment in higher education. The funding, from the Higher Education Funding Council England (HEFCE), aims to boost the number of courses available for science, technology, engineering and maths (STEM) students during the 2015/16 academic year. 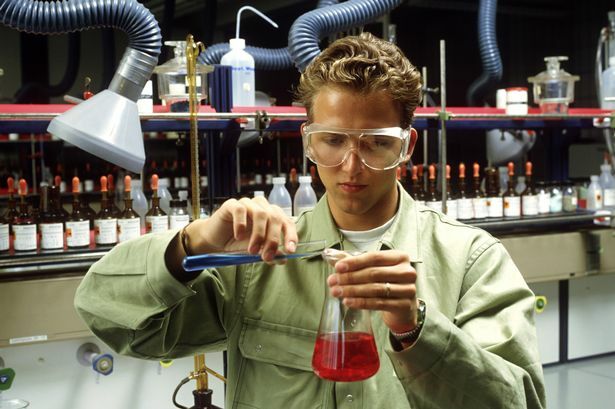 HEFCE hopes it will particularly increase the number of students learning chemistry and physics, after a decline in numbers over the last decade has left the science and technology industries struggling to employ a skilled workforce. It comes after SEMTA, the skills council for science, engineering and manufacturing technologies, warned that immediate action was needed to avoid a shortfall of 80,000 workers across the sector by 2016. And earlier this year the Confederation of British Industry called on the government to slash tuition fees for some science, technology, engineering and maths courses. Madeleine Atkins, chief executive of HEFCE, said: “This funding is badly needed by universities and colleges to meet the increased interest in science and engineering. A total of 73 universities and colleges across the country have been handed some of the cash. Some of the biggest winners of the funding will be the region’s major universities – with the University of Birmingham, Birmingham City University and Staffordshire University each receiving £5 million. Coventry University will receive £4.9 million, while Aston University will be given £1,960,649 and the University of Worcester has been awarded £368,245. Birmingham City University is to double its investment to £10 million to build new laboratories for scientific and technological research. Vice-Chancellor Professor Cliff Allan said: “This investment shows our determination to take serious action to ensure we are delivering exactly the education our young people, as well as the regional and national economy, needs. “We already have a long history of teaching science, technology and engineering and we are a powerful established force in contributing to the creative industries that make a multi-billion contribution to the UK economy. Solihull College is the only college in the West Midlands to benefit from the funding – receiving £49,000. The college will match the funding with money from its own coffers, which will be ploughed into its materials testing laboratory at its Woodlands Campus in Smith’s Wood for engineering and construction students. It is also hoping to develop a partnership with Oxford Brookes University to begin degrees in mechanical and electronic engineering. Rosa Wells, higher education engineering co-ordinator at the college, said its work with major engineering firms in the Midlands was helping the local employment market.